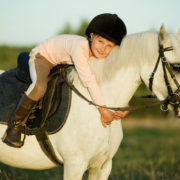 A good Pony Club mount is a precious commodity and they often require special care to keep them fit, healthy and active for as many years as possible. Sound nutrition should form the basis of this care. Pony Club mounts are also carrying an even more precious load, your children; and in this respect, temperament is everything. The following article gives you some tips on how to feed your Pony Club mount to keep them healthy and calm without costing yourself a fortune. Diets that are based on good quality hay or pasture have many advantages. They keep horses calm, healthy and content, they are cost effective and they reduce the risk of major diseases like colic. As a rule your Pony Club mount should be fed a minimum of 2 kg/100 kg of bodyweight/day of hay or given free access to pasture (provided excess weight isn’t an issue). If your Pony Club mounts are able to hold their condition on pasture or hay alone all you need to do is provide them with a good quality vitamin and mineral supplement and you will have a diet that keeps them happy, healthy and calm on a shoestring. FeedXL can help you to work out which supplement to use and what dose rate will work best. If you find they can’t hold their weight on grass based pasture or hay alone even when they are being fed as much as they can eat, try adding some lucerne/alfalfa hay to the diet. If this still isn’t enough you will need to add a complete feed suitable for Pony Club mounts to their diet. Some feeds can affect a horse’s temperament, so if you do need to use a complete feed for your Pony Club mount choose carefully. If you have a mount that tends to get hot when fed higher energy feeds, look for a non-grain complete feed that provides cooler energy from fat and fiber sources (Tip: to make it easy to find these feeds when using FeedXL, tick ‘Grain Intolerant’ when filling in your horses details and the unsuitable feeds will be in red in the feeds list). Likewise if your horse or pony is prone to laminitis, select feeds that contain no grain or grain by-product with a sugar and starch (NSC) content of less than 10 – 12% (again by ticking ‘Laminitis’ in your horse’s details in FeedXL, unsuitable feeds will be ‘red listed’ to help you steer clear of them). If you have older mounts that are having trouble holding their weight or young horses that need extra energy, look for feeds that contain cooked and easy to digest grains and good quality protein. 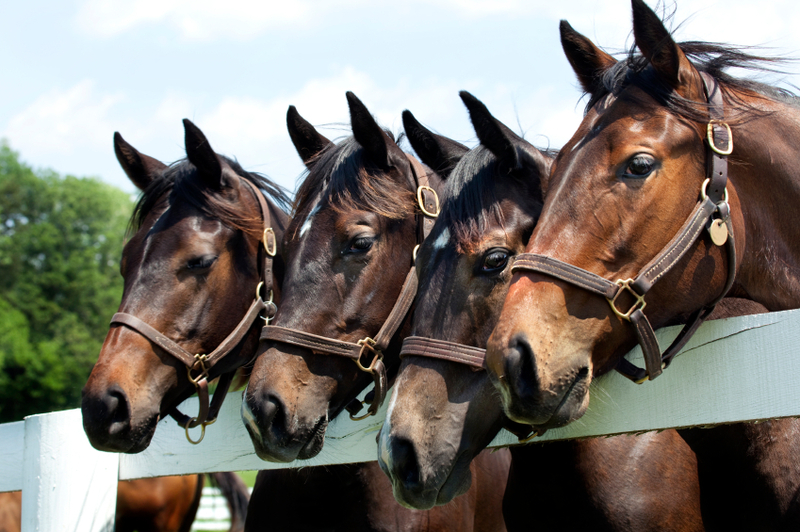 Overfeeding will result either in an overweight horse or a hyperactive horse. One isn’t good for the horse, the other is certainly not good for its rider. When feeding your Pony Club mounts, feed them according to the work they are doing and their current body condition. Don’t be afraid to adjust the amount you feed on a daily basis according to if and how hard they were ridden that day and what their temperament or body condition is like. For example, you might feed 2 kg of a complete feed on days your mount is ridden for at least an hour with 50% or more of this time being solid trot and canter work. On days that horse is not ridden, it might only be fed 0.5 kg of feed plus its hay or pasture. Condition score your mounts regularly and assess their temperament and adjust their feed according to whether they are gaining, holding or losing weight or whether they are feeling flat or a little hyperactive. Making sure all nutrient requirements including those for minerals and vitamins are met will keep your Pony Club mounts as healthy as possible. Common deficiencies of minerals like selenium can compromise a horse’s immune function, copper deficiency will lead to bleached coat colour and joint issues while a zinc deficiency will eventually lead to hoof problems. These nutrients are easily supplied in good quality vitamin and mineral supplements or well formulated complete feeds. Use FeedXL to assess if your mount’s requirements for these important nutrients are being met. 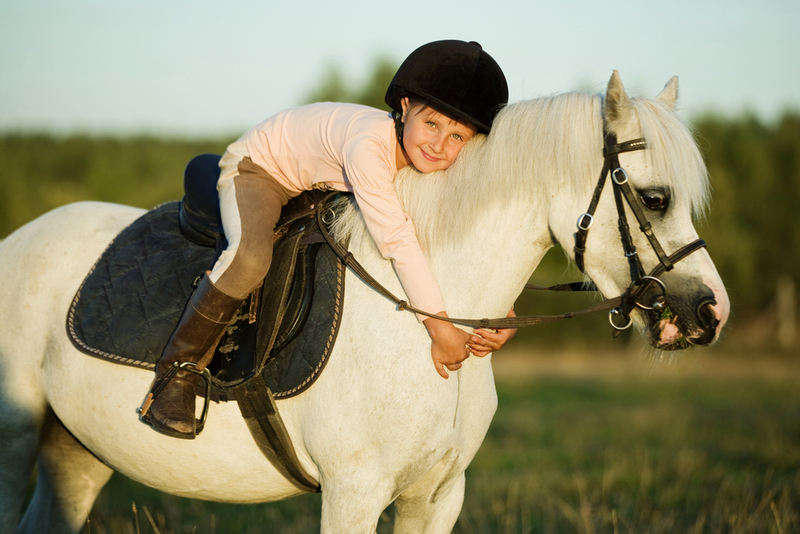 Feeding the Pony Club mount should focus on keeping them healthy and active, yet calm. Feeding balanced diets based on forage and only using suitable feeds when needed will go a long way to achieving this goal. Adjusting the amount of any high energy feeds fed according to the horse’s workload, temperament and body condition will help to avoid excessive weight gain and hyperactive behaviour, while being sure to meet all vitamin and mineral requirements will keep hooves, skin, coats, muscles and joints healthy for as long as possible. This newsletter by Dr. Nerida Richards was originally posted to the FeedXL user forums for FeedXL subscribers in December, 2013. If you would like to be among the first to receive our newsletters then please consider becoming a FeedXL member or subscribing to our email list. There is nothing quite as unnerving or unenjoyable as riding a horse that is completely full of itself and constantly reacting before thinking. On a more subtle level a horse that won’t concentrate or continually overreacts to aids is frustrating. While education plays a major role in determining a horse’s behaviour under saddle, feeding can also have an impact. What you feed, how much you feed and when you feed it can make a big difference. Here are some tips for feeding to assist your horse to maintain a calm and responsive attitude under saddle. Light Work: 1 to 3 hours per week of walking (40%), trotting (50%) and cantering (10%). Moderate Work: 3 to 5 hours per week of walking (30%), trotting (55%), cantering (10%) and skill work such as low grade jumping, dressage or cutting (5%). Heavy Work: 4 to 5 hours per week of walking (20%), trotting (50%), cantering (15%) and galloping or skill work such as high level jumping, dressage or cutting (15%). So not only does the total number of hours of work need to be considered, but the type and speed of work must be taken into account as well. Classifying your horse in a workload higher than they actually are and overfeeding is possibly the most common cause of hyperactivity (and equine obesity). Once you classify your horse’s workload correctly, use the Digestible Energy requirement calculated by FeedXL as a guide to how much you need to feed. If your horse tends to become hyperactive, especially following a day off, reducing the amount you feed from a working ration back to a maintenance ration on days off can help to solve this issue. Developing one diet for days your horse is ridden and another with similar ingredients but smaller portions for days off means your horse is only being fed what he needs on any given day. To take this one step further, if you work your horse at varying intensities on different days you may develop a couple of different working diets. For example, if you lunge your horse for 30 minutes two days a week (light work), trail ride for 1.5 hours mainly at the walk and trot with some cantering 2 days per week (moderate work) and have dressage and show jump lessons or competitions 2 days per week for 1.5 to 2 hours each with mostly trotting and cantering as well as skill work (heavy work) and your horse has 1 day off you could have a maintenance diet for the day off, a light work diet for the lunging days, a moderate work diet for the trail days and a heavy work ration for the lesson and competition days. That way you are constantly adjusting feeding to suit workload and avoiding overfeeding. Fibrous feeds that are fermented in the hindgut to release energy are the most natural and also the ‘coolest’ sources of energy for horses. Using forages like pasture, hay, and chaff to provide the majority of the energy in your horse’s diet will help to keep your horse calm and responsive. Horses in light work should be able to happily exist on a diet made up almost entirely of forages with supplements added if and when needed (use FeedXL to determine when supplements are needed and which fit the diet best). So if your horse is in light work, don’t be too quick to reach for ‘hard feeds’, stick with forages, especially if your horse’s temperament is an issue. However, horses in moderate to heavy work often need higher energy feeds added to their diet as most physically can’t eat enough forage to meet energy requirements. In these situations where energy requirements can’t be met by forage alone, cool energy sources such as high energy fibres (sugarbeet pulp, soybean hulls, lupin hulls and copra meal), oils and high oil feeds like rice bran can be used to boost energy intake without impacting on a horse’s behaviour (though there is no guarantee). Grains and grain based feeds, molasses and forages like alfalfa/lucerne hay tend to be commonly blamed for making horses ‘hot’. Whether this is because they do actually make horses hyperactive, or because they are energy dense feeds that are easy to overfeed and therefore by default make horses hot is hard to determine. 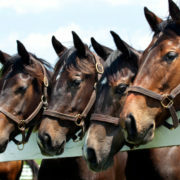 In any case, if your horse reacts to grains, grain based feeds or forages like alfalfa, avoid using these in the diet. To make it easy to avoid any feeds that contain grains or molasses, simply tick the ‘Grain Intolerant’ box when entering your horse’s details in FeedXL and any feeds or supplements containing grain, grain by‐ product or molasses will be marked in RED. Some deficiencies like vitamin B1 (thiamine) and magnesium can have an impact on your horse’s behaviour. Use FeedXL to make sure your horse’s requirements for these and other important nutrients are met and avoid nutrient deficiencies that can alter your horse’s behaviour. If you’re not yet a member, click here to learn more. There are a plethora of ‘calming’ supplements on the market aimed at helping to calm a hyperactive horse. Whether these supplements work or not is difficult to establish. Many studies have been conducted to assess their effectiveness with contradicting results. Most however are safe supplements, commonly containing large amounts of the water soluble (and hence virtually non‐toxic) vitamin B1. Some also contain magnesium and an amino acid called tryptophan. If you are fine tuning your horse’s feeding regime to ensure you are not overfeeding, adjusting feeding according to daily workload, feeding a diet based on forage, using cool energy sources when needed and feeding a balanced diet PLUS have your horse well educated and its behaviour is still a problem, then trying calming supplements to see if they have a positive impact is a feasible option. If they work, keep using your chosen supplement. If they don’t, keep adjusting the diet and working on education until the right balance is struck. This newsletter by Dr. Nerida Richards was originally posted to the FeedXL user forums for FeedXL subscribers in July, 2011. If you would like to be among the first to receive our newsletters then please consider becoming a FeedXL member or subscribing to our email list.